It’s November already. You probably don’t need me to tell you what that means. If you’re a writer, the passing of Halloween and omnipresence of Christmas *stuff* just about everywhere comes a very faint second to the utter omnipresence in your social media feeds and – for many of you – in your lives of Nanowrimo, that month that comes but once a year when hundreds of thousands of people commit to writing a novel in a month. Those of you taking part will be spending all of your time frantically reading posts about how to have time to take part. Many of those of you not taking part will be spending much of your time writing 50,000 words on social media about all of the reasons why it’s a bad idea. Good luck to all of you. I’m giving it a go (here’s ALLi’s Nano post). And channelling my inner Sally Bowles, maybe this time I’ll win! We have taken a few looks in this column at their ventures in India. There have been lots of words and promises, but now they really have laid out their stall, announcing that Amazon will be acquiring leading publisher Westland, currently owned by the giant Tata corporation. Thank you to Ritesh Kala for originally sending me the story. As Ritesh is always reminding us in ALLi, in India print is huge for indies, so this is a story that really matters. And that’s not all Amazon have been doing this week. Another topic that has been occupying a lot of our time is serialised content. This week saw Amazon launch the Amazon Rapids app, which delivers children’s stories to mobile devices in episodic form. Meanwhile, this last weekend saw a very strange incident in which lots of books readily identifiable as scams marched up the Amazon charts. 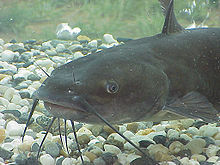 The scam, first spotted in Kindleboards, follows the recent outing of high profile catfisher Valeriy Sershnyov, though in this case, with the scam so easily spotted, there is no discernible motive. We are always told that readers really don’t want to pay for books. This is one of the primary drivers behind resistance to low pricing and free giveaways – the fear that it encourages a trait that really shouldn’t be encouraged. A new report into digital reading and gaming by Paypal suggests that people might not be so resistant to paying for books after all. The survey, which covers many aspects of our digital reading habits, is global in its scope, offering many fascinating insights into the different stages different markets have reached, and provide a great basis for an international strategic roadmap for indies. There’s also interesting commentary on Digital Reader. 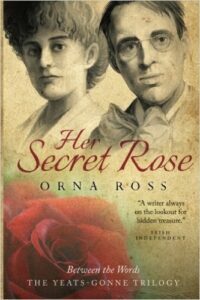 Orna will not thank me, being far too modest, but I couldn’t let self-publishing news not mention the wonderful news that ALLi’s own Director has won the Carousel Aware Prize for the best Irish indie novel for the fabulous Her Secret Rose. And ALLi member Lorna Sixmouth took the nonfiction prize for How to be a Perfect Farm Wife. The Carousel Prize is unique in indie literary prizes, as proceeds go to the mental health charity, Aware, and the prize is bookshop distribution. A good model for others to follow? Watch this space. I’m delighted to have the second update from our self-publishing services watchdog John Doppler. You can check all the ratings on the watchdog page. We have new ratings for the following 10 companies, no fewer than 6 of which are related to the cautioned Hillcrest Media: Oak Tree Press, Thomson-Shore, Hot Pink Publishing, Hillcrest Media Group, Hillcrest Publishing Group, Mill City Press, Publish Green, BookPrinting.com, Published.com, Xulan Press. Hugh Howey is something of an indie superstar. Which makes the news that he has teamed up with band Imagine Dragons and service provider Booktrack to create the soundtrack for his new book, Beacon 23. Booktrack specialise in putting music to your words to enhance your readers’ experience. Maybe this will trigger more writers to consider taking the step. Would you happen to know how one would get their stories published on amazon rapids?